A long-time vegan, lover of animals, nature and life and passionate about human ecology. As an eternal optimist, increasing the number of people worldwide to switch to a wholefood, plant-based diet and vegan lifestyle is her mission. Together with her husband Bill Tara, they have created The Human Ecology Project. A high profiled and dedicated health counsellor and teacher with over 40 years’ experience of transforming lives. Her dietary advice draws from the fields of Macrobiotic Nutrition, her studies in Traditional Chinese Medicine and her certification in plant- based nutrition. Marlene is a driving force for health and fitness to all who cross her path. She has been teaching her ‘Living with the Seasons’ workshops in various parts of Europe, America, and Australia over the last three decades. Marlene has a list of clients ranging from the movies and arts to members of royal families. In the last 10 years she has been teaching chefs the art and skill of macrobiotic, vegan plant-based cooking. A regular columnist for many health magazines and websites around the world, sharing her knowledge on living healthily is a big part of her work. ‘The Natural Woman’ and ‘Weight Loss Nature’s Way’ are two of her online courses available via her website. After all her experience in alternative health care, she has a story to tell and a vast amount of knowledge to share with you all about improving your quality of life. 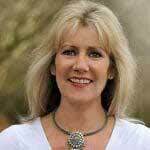 Marlene is the international author of the best-selling book ‘Macrobiotics for all Seasons’ sold in; United States of America, Europe, Asia and Australasia. Marlene teaches alongside her husband Bill Tara and have graduates from their Macrobiotic Vegan Health Coach Programme in 27 countries. Continuing to switch on more ‘lighthouses’ around the world is the mission. Unlike other books about macrobiotics that are complicated with rigid rules, Macrobiotics for All Seasons offers a dietary approach based on listening to the natural rhythms of our bodies and the planet we live on. Combining traditional wisdom, nutritional science, and a vision for healing our environment, author Marlene Watson-Tara explains the health benefits of eating a plant-based diet that changes with the seasons.